Long standing bar 83 Club Street has undergone a revamped and replaced with a new concept introducing Caribbean influenced cuisine and rum centric bar. 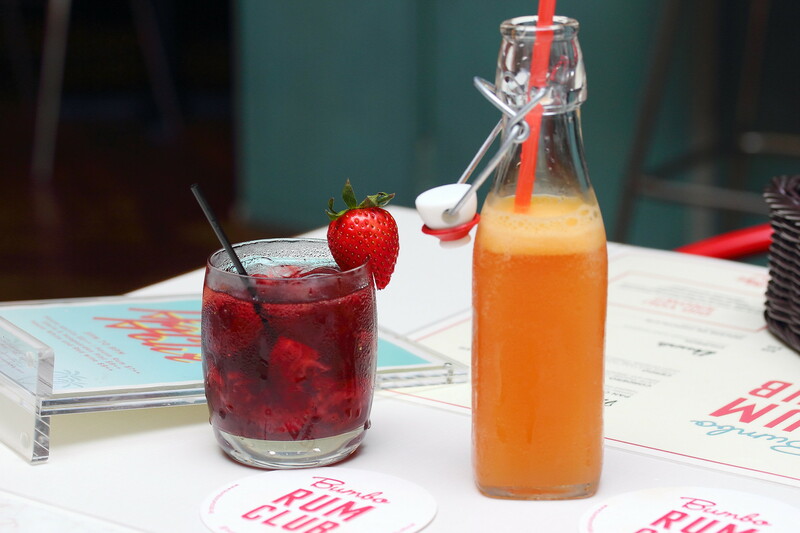 Housing a whopping collection of 76 rums from more than 20 countries, 7 homemade infused rums as well as 25 exquisite rum cocktails, Bumbo Rum Club (BRC) is a rum heaven. Starting with some pre-drinks before our dinner at Bumbo Rum Club, we had the Bumbo Rum Club Signature Cocktail ($24) and Hurriance. The signature cocktail at BRC is made from homemade infused rum in a concoction of red wine and strawberry. While it comes with hints of fruity berries, the rum can still be appreciated in this cocktail. For those that is not very much into alcohol, the Hurriance which is made up of white rum, gold rum, orange and passionfruit is more suitable with its more fruity and tangy combination. Sometimes good food does not need to be sophisticated, simplicity allows one to appreciate the natural flavours of the ingredients even more. 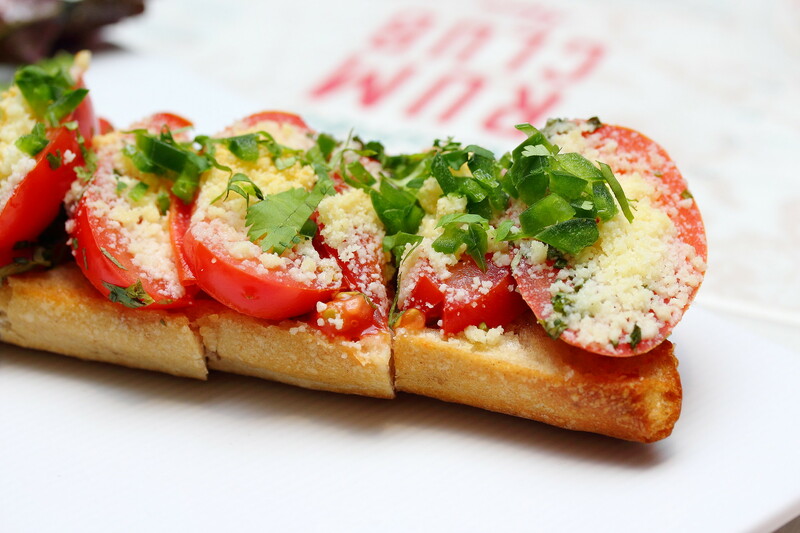 The Pan Con Tomate ($9) comes with tomato marinated in citrus and herbs served on toasted garlic bread. I like the extra topping of the parmasan giving it a extra boost in flavour. 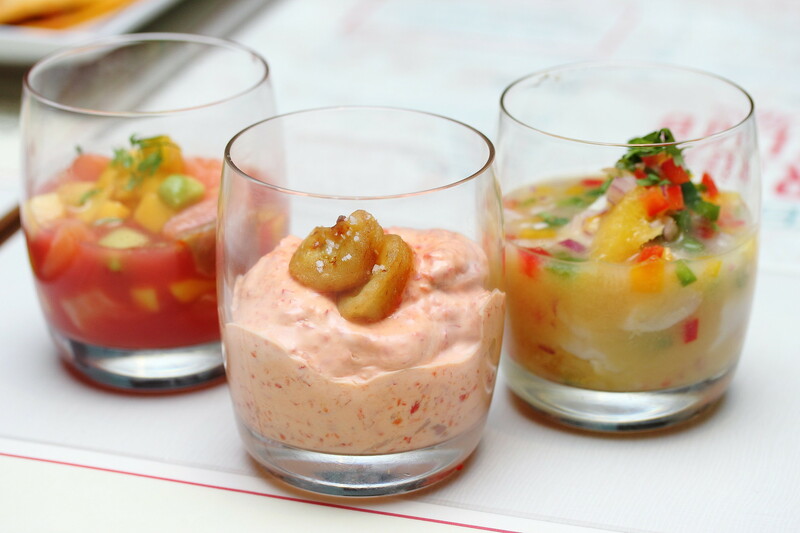 A delightful trio of Salmon Ceviche ($16), Camarones Ceviche ($15) and Lubina Ceviche ($14) welcomes us next. Among the three ceviche we tried, our favourite was the camarones ceviche which comes with prawn with chilli paste, coconut milk and deep fried plantain banana. The rich and creaminess of the camarones ceviche with hint of spiciness resembles the familiar taste of Indian cuisine, so good that I could not stop going back for more. The lubina and salmon ceviche on the other hand were as good too. One is refreshing with the seabass marinated in citrus juice while the latter has an interesting light and fruity flavour with the salmon marinated in watermelon juice. 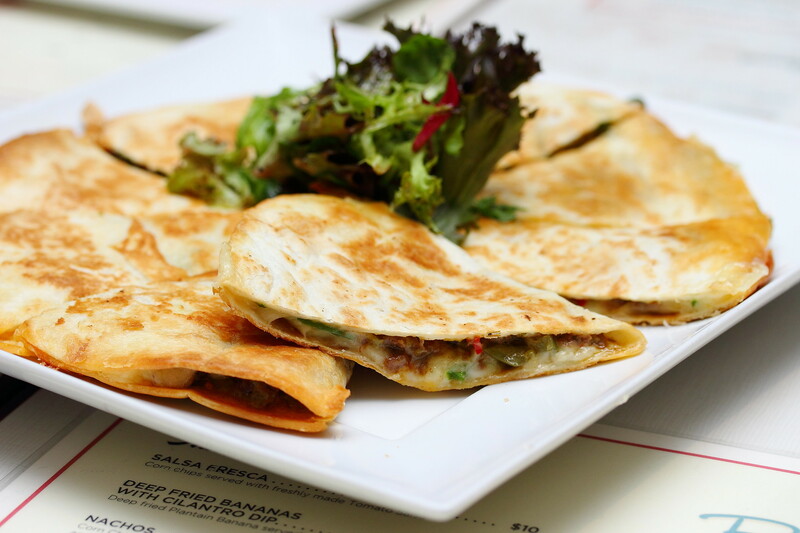 The Quesadillas ($14) is filled with cheesy beef, spicy guacamole and jalapeno. The tortilla was fresh, soft and has a delectable chewy bite to it. If the flavours could be bolder and spicier, that will make it even more perfect. 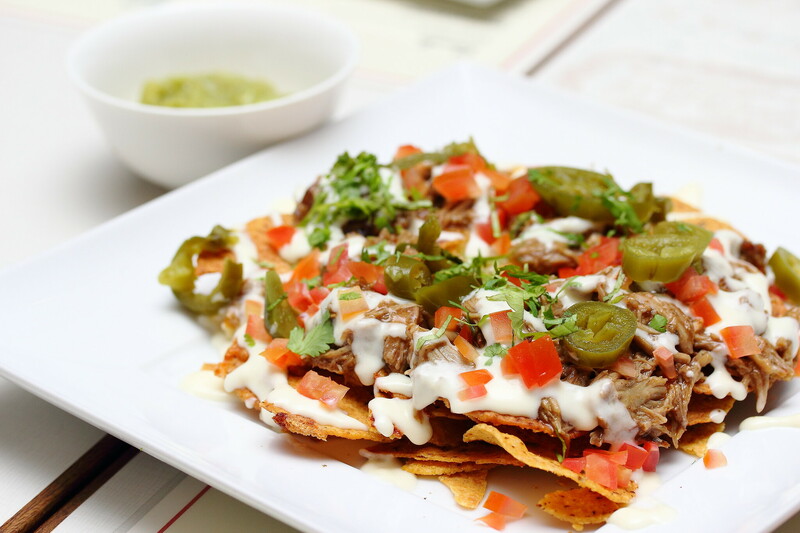 How to resist Nachos ($14) when it is further topped with shredded pork, melted cheese and spicy guacamole. The shredded pork interestingly has an Asian flavour to it. I like the added jalapeno giving the corn chips a boost in flavours. The weakest link among the dishes we tried is the Accras Bacalao ($20). 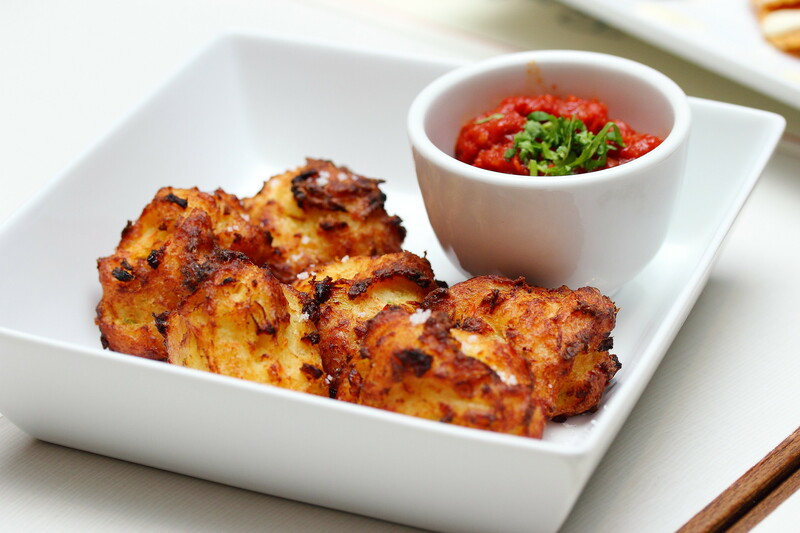 The cod fish beignet made from flour, onion, chilli and cod fish is served with spicy tomato sauce. I felt that the cod fish was wasted in this interpretation where the buttery flavour of the cod fish is lost. The Pollo Dulce Y Picante ($16) was our favourite for the night. 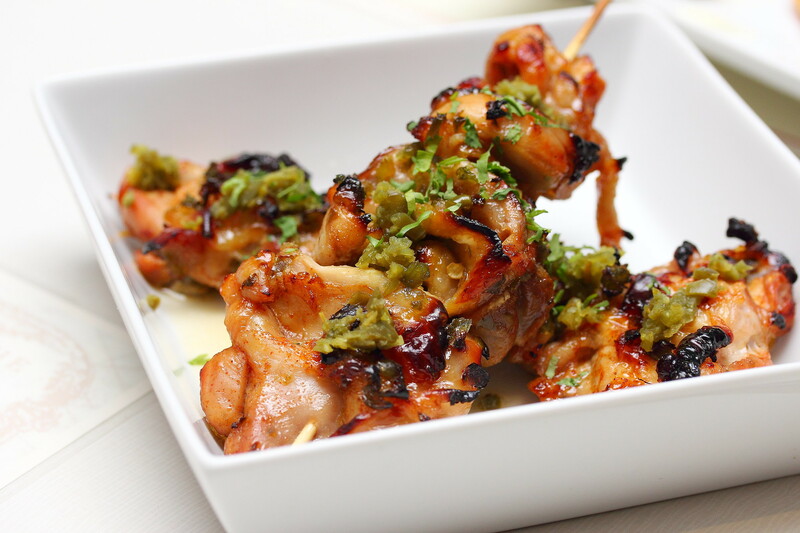 The sweet and spicy chicken with jalapeno confit was grilled to a nice charred and smoky flavour. The flavoursome chicken definitely hit the spot with its tender and juicy chicken. If you prefer Churros ($9) that has a doughy innard and yet still has an exterior crisp then the one at BRC will be for you. 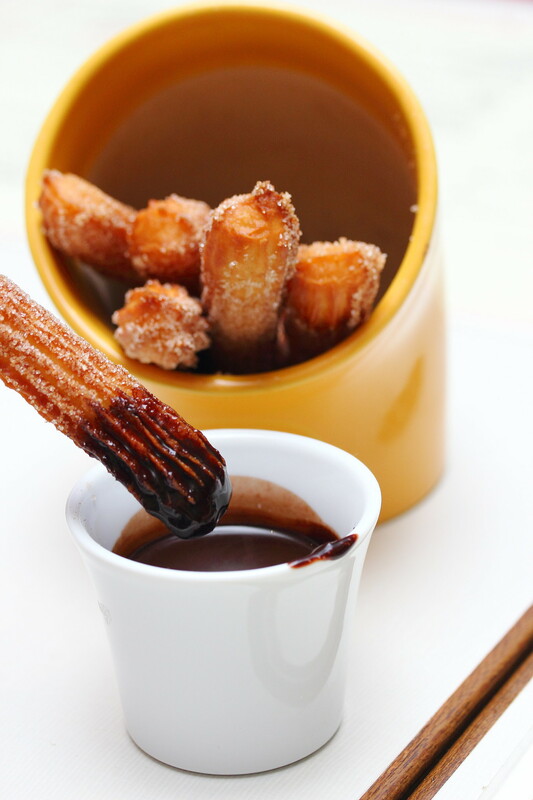 The crunchy fried dough coated with sugar and dipped in chocolate sauce for a sweet finishing to these yummy Cuban doughnuts. For big group that is looking for a great place to gather, BRC would be an idea place with its selection of rum and mouth watering food. 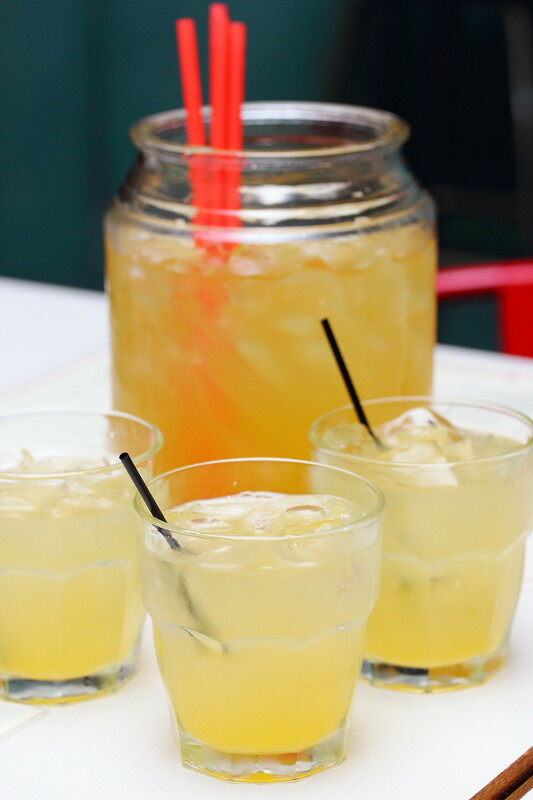 Saying that the Bumbo Rum Club Punching Bag ($60), a concoction of white rum, dark rum, gold rum, orange, pineapple, lemon and ginger ale is good for 2 to 4 pax sharing is a light and easy cocktail to kick start the night. 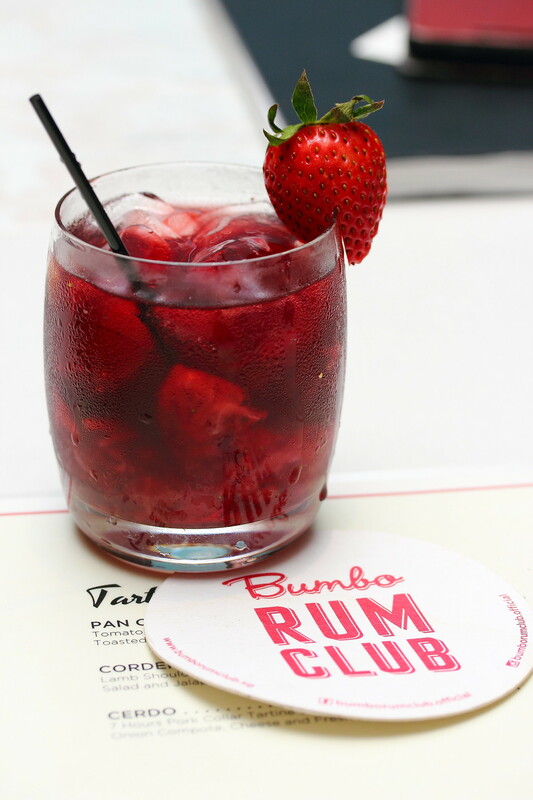 Step into Bumbo Rum Club and be transported to the world of Caribbean sensuality and tastes. Special themed programs are also lined up every night, there is always something to get one entertained each night.